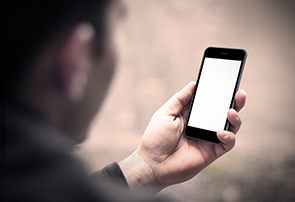 Covenant Eyes provides an accountability and filtering solution for Apple's iPhone, iPad, and iPod Touch. The Covenant Eyes app is an Internet browser for Apple’s iPhone, iPad, and iPod touch. It is designed to replace Safari. This app is free to WebChaver subscribers. Because of the way Apple designed its operating system, this app does not work like the desktop versions of our software. It cannot run in the background, monitoring your Internet activity and filtering content generated through other browsers and apps. Only Internet activity logged through the Covenant Eyes browser is filtered and recorded in the Accountability Report. The Covenant Eyes browser app is available as “Covenant Eyes” on Apple’s iPhone App Store. In order to use this app, you must have a WebChaver username with Internet Accountability and/or Filtering. The Covenant Eyes browser app is designed to work hand-in-hand with your device’s built-in restrictions. Because Covenant Eyes only monitors and blocks web pages visited through this browser app, you should adjust your device’s settings and block access to certain apps. Under the Restrictions menu, you may disable certain apps and content. You will be asked for a four-digit passcode. We recommend having the person who holds you accountable set this passcode for you. Next, turn off Safari, AirDrop, and other apps that might allow objectionable material. Toggle “Installing Apps” to “Off” as well. Note that many apps have built-in browsers used for ads, contact, or comments, which Covenant Eyes does not monitor. Many apps, such as the YouTube app, cannot be disabled as in step 4. You will need to uninstall the app (if it is already installed), then disable “Installing Apps” to prevent reinstallation. Under “Allowed Content,” toggle off the ability to listen to explicit music and podcasts, and disallow movies and TV shows at inappropriate levels (e.g. NC-17 for movies and TV-MA for TV shows). DO NOT disable apps rated 17+. Because Covenant Eyes offers Internet access that can be unfiltered, Apple rates it 17+. By disabling 17+ apps, you will be disabling Covenant Eyes. The Covenant Eyes app is a web browser, designed to replace Safari or other browsers on your device. To use the app, click on the Covenant Eyes icon. Once you have signed in, use it to browse the web. Standard features include bookmarks and tabbed browsing. You may also choose Google, Bing, or Yahoo as your default search engine through the “Settings” app. Currently, Apple does not allow users to choose a default browser other than Safari. In order to open links from e-mail in the Covenant Eyes browser, you will have to copy and paste them individually. First, tap and hold the link you wish to open, and select “copy.” Then open the Covenant Eyes browser. If this is the first time you have opened the browser, or if you open a new tab, you will see a dialog box asking if you would like to open the copied link. Otherwise, paste the copied URL into the address bar. You can import bookmarks from most browsers on your desktop or laptop into the Covenant Eyes browser. In your browser, open your bookmarks and look for the option to export your bookmarks as an HTML file. 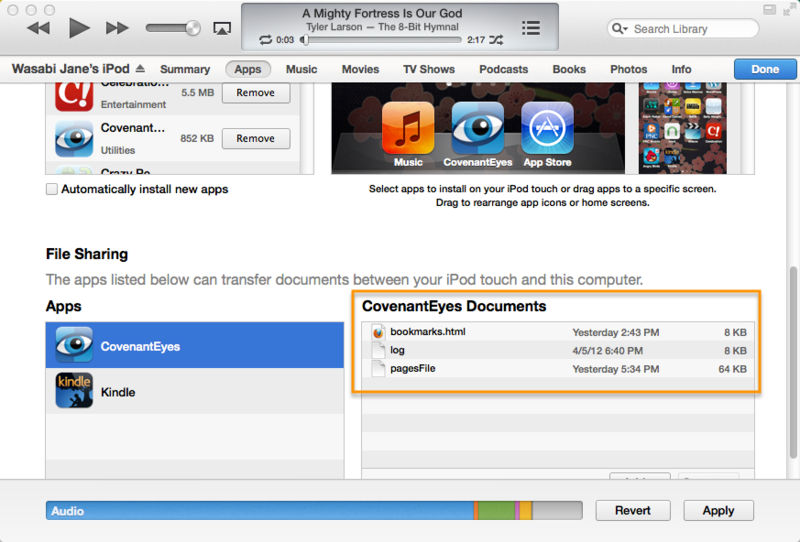 The next time you open your Covenant Eyes app, your bookmarks will be imported. How does Filtering work on this browser? Our newest release of our browser app added Filtering in addition to Accountability. This means that websites visited through this app will be blocked based on your Filter Sensitivity Level and block/allow list—no extra configuration necessary. However, we don’t have time controls for our browser app…yet. How does the iOS7 filter work with Covenant Eyes? The iOS7 filter is designed to block private browsing and inappropriate content in Safari, but it also adds an extra layer of protection to web searches across all apps, including the Covenant Eyes browser app. We still recommend you disable Safari, and you will have finer control over your filter with Covenant Eyes Filtering, but using the iOS 7 filter will provide one more (free) layer between you and inappropriate content online.